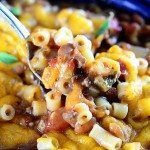 Skillet Mac and Cheese Recipe – Mac and Cheese is the ultimate comfort food! 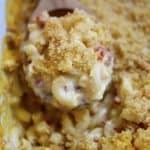 This easy cheesy sauce combined with macaroni and a buttery, crunch topping makes for the best homemade Mac and Cheese! Oh friends! Do I have a recipe to share with you today that I think you are going to absolutely love! 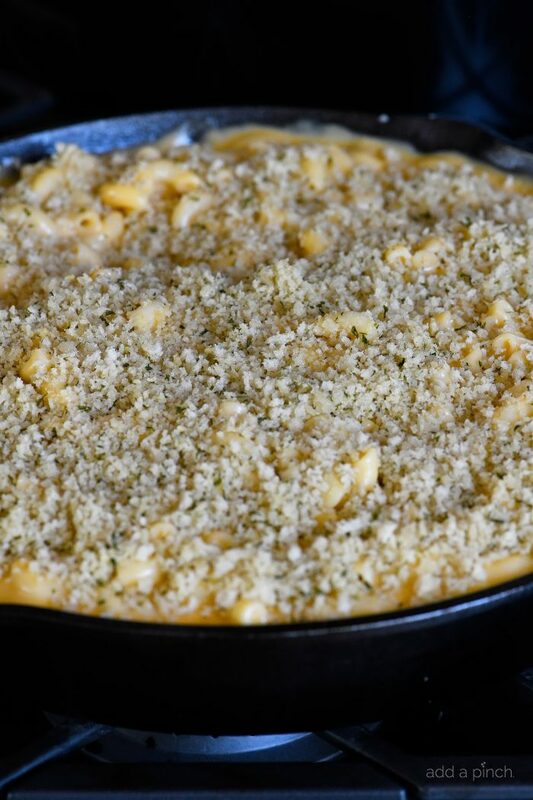 This easy, cheesy, creamy, crunchy, and out of this world delicious Skillet Mac and Cheese! I know, I know. 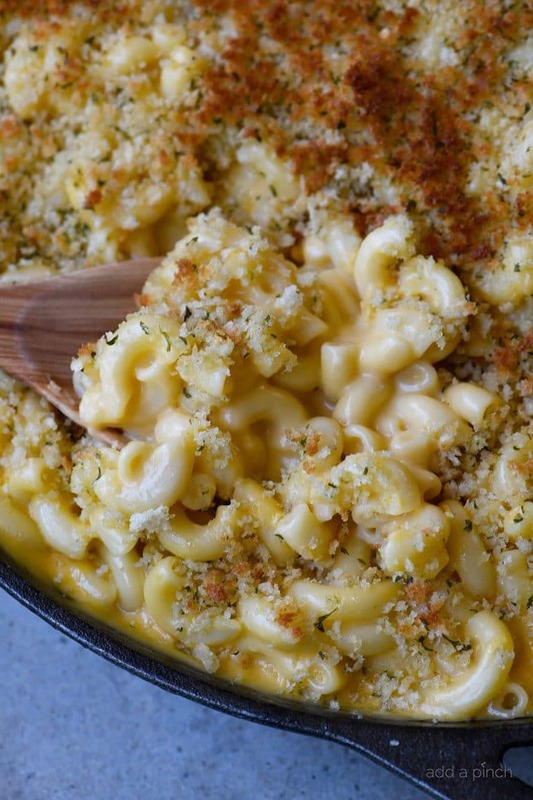 There must be a million Mac and Cheese recipes out there. But before you dismiss this one, let me tell you a little more about it. I’ve also included some step-by-step photos so that it doesn’t seem nearly as intimidating. I get it. I remember all those years of just grabbing a blue box when I was grocery shopping and then boiling noodles, draining them and squeezing in the magic packet. With a quick stir, it was done. But once I began making my own homemade mac and cheese, I haven’t turned back. I start by melting butter in my medium (12-inch) skillet. Then, I add my flour and Stone House Seasoning to the butter. 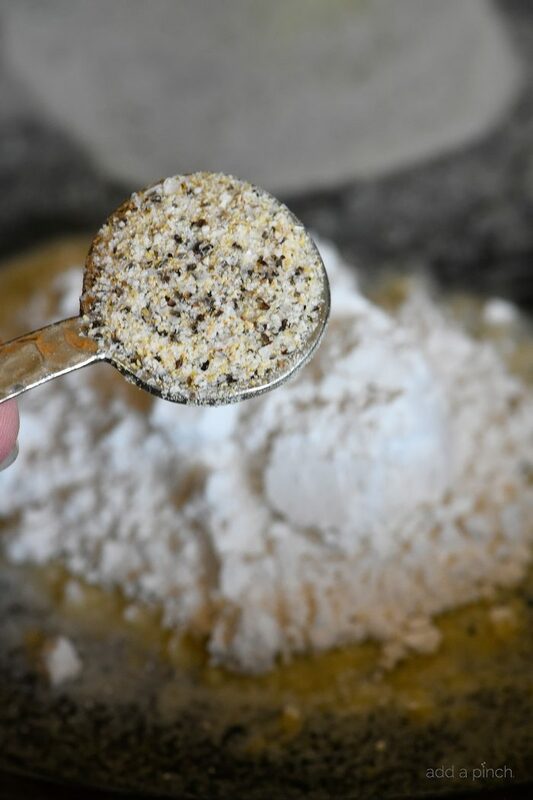 I’ve shared my recipe for Stone House Seasoning with you all before. Every time that I mention it in a recipe, I do get questions about it. It is made of three simple ingredients at just the perfect ratio for quickly adding seasoning to so many dishes. I make a large portion of it and keep in an airtight container so that I can add flavor in a snap! Once you add the flour and Stone House Seasoning to the skillet, whisk to incorporate into the melted butter. Then, continue to cook for about a minute more. Next, whisking constantly, you’ll pour your warmed milk into your flour mixture, making sure it is smooth. 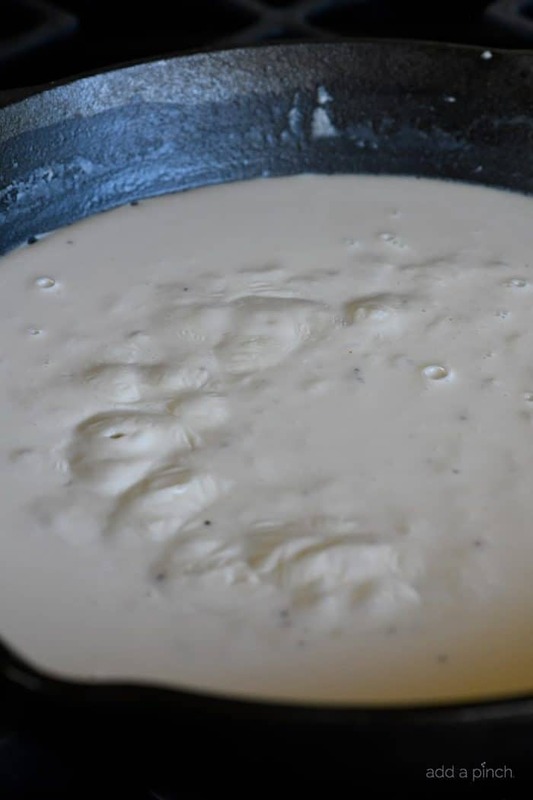 Allow the flour and milk mixture to come to a low bubble in the skillet and continue to cook until the sauce has thickened. Now, turn the heat off to the skillet and add all of your cheeses, along with the hot sauce if you are using. Stir until all the cheese has melted. Oh my stars! 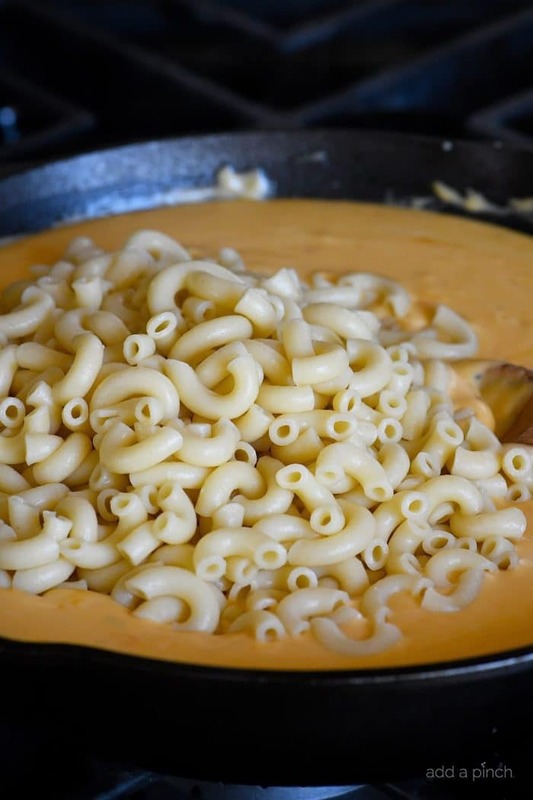 That cheese sauce is incredible and just makes this the best Mac and Cheese recipe in my book! Next, you’ll want to add in your cooked elbow noodles. I like to add the cooked noodles in stages and not all at once and stir them into the cheese sauce. 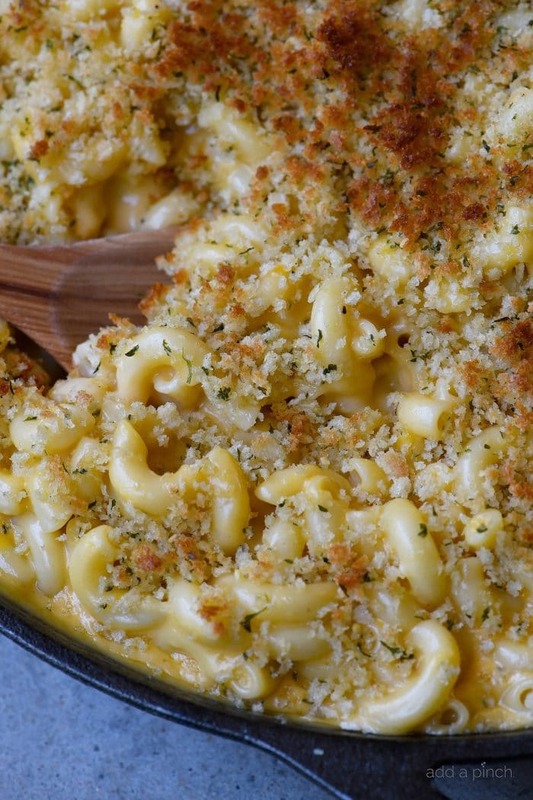 Now, if you like, you can stop right here and serve this Mac and Cheese without any topping. It is mighty delicious this way and is how Sam always loved to eat it as a young fella. It is definitely a favorite for children this way. But friends, it is out of this world delicious with this buttery Panko topping! 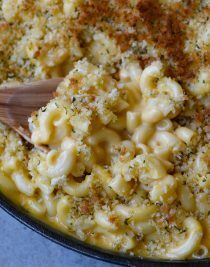 The Panko is mixed with a bit of melted butter, added to the top of the Mac and Cheese and then placed under the broiler until nice and toasted. YUM! 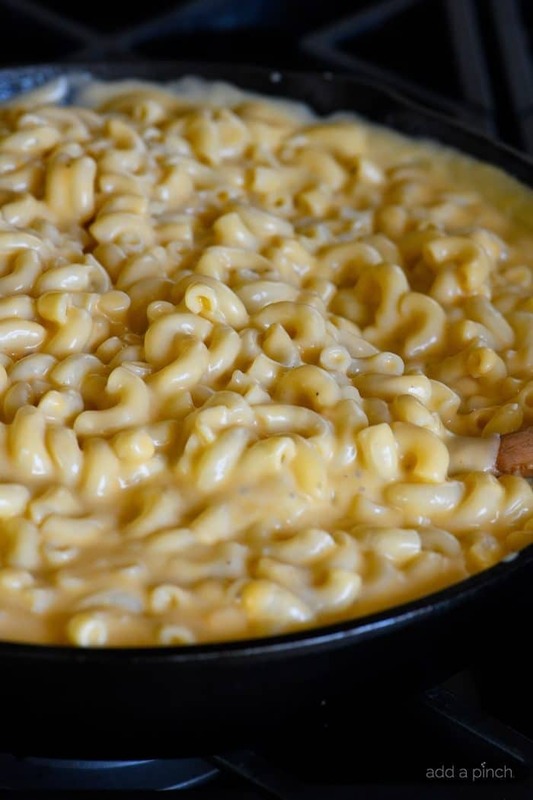 Here’s my Skillet Mac and Cheese Recipe. I hope you make it soon! 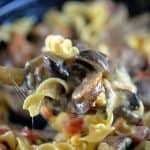 Skillet Mac and Cheese Recipe - Mac and Cheese is the ultimate comfort food! 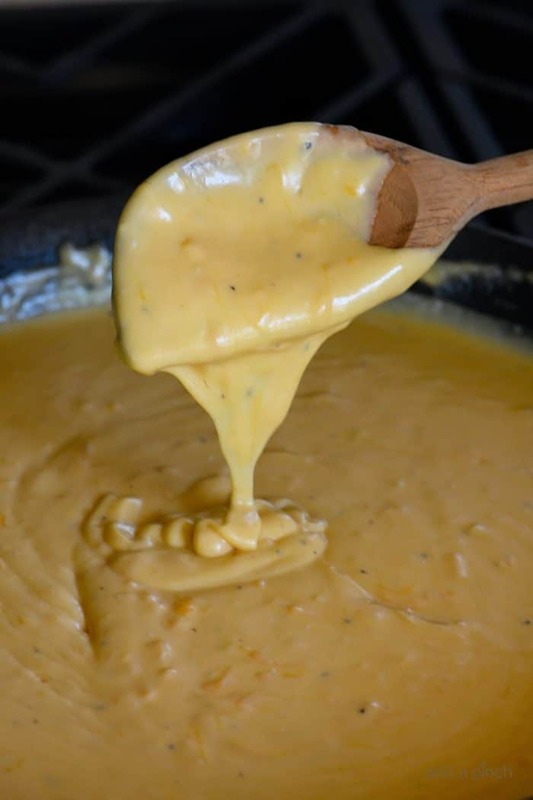 This easy cheesy sauce combined with macaroni and a buttery, crunch topping makes for the creamiest Mac and Cheese! Melt 4 tablespoons butter in skillet set over medium heat. Sprinkle the flour and Stone House Seasoning into the butter and whisk until the flour has been incorporated into the butter. Continue to cook until the flour has lightly browned, about 1 minute. Whisk constantly as you slowly pour the warmed milk into the flour mixture making sure that the mixture remains smooth and without lumps. Allow the mixture to come to a low bubble and cook until the sauce has thickened. Turn the heat off to the skillet and add the cheeses, and hot sauce if using. 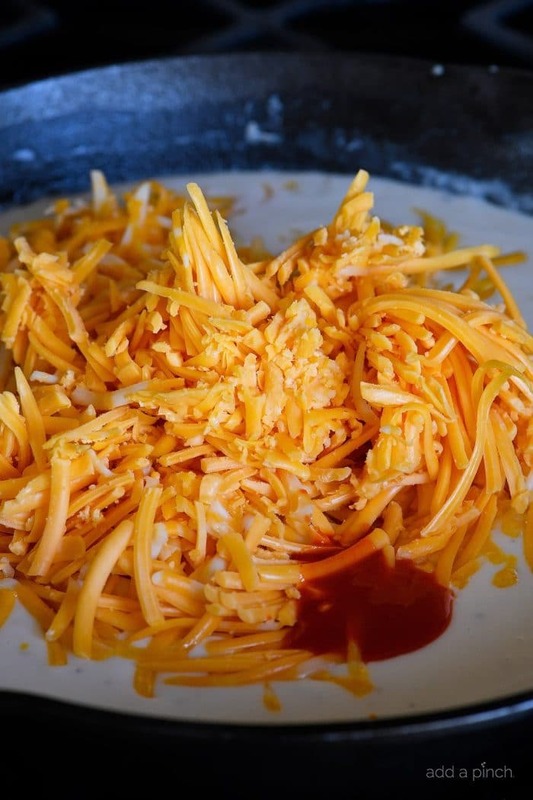 Stir until the cheeses have melted. 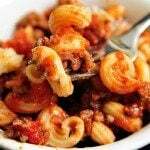 Add the cooked elbow pasta (macaroni) to the skillet and stir into the sauce. Melt the remaining 2 tablespoons of butter in the microwave and mix with the panko. Spread the panko on top of the mac and cheese and place under a broiler until just crispy, about 1 to 2 minutes. To make-ahead, prepare without adding the topping. Cover tightly with wrap and refrigerate. To serve, remove from the refrigerator and top with the Panko topping mixture and bake at 325º F for 15 minutes. Transfer any leftovers to a freezer-safe container and freeze for up to 3 months. I can not WAIT to try this! I am addicted to the yellow box that comes with the pouch of cheese. It looks like this will only take a few more minutes to prepare (and it will be so worth it). Thank you!! I’m not a monterey jack fan. What would be a good substitute? 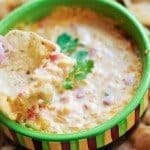 You can use the same amount of Cheddar as the Monterrey Jack or you could use a bit of Provolone, Gruyere, or even Parmesan. Thanks. LOVE your recipes. Keep them coming. I make basically the same recipe in the microwave. I melt 4 T butter, add 4 T flour, after blended I add 2 c milk.. Microwave until thickened, whisking every 2 minutes. Stir in 2 cup cheddar cheese.. 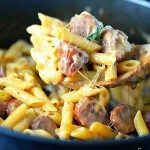 When I add the sauce to the cooked macaroni I always add a little extra cheese. Bake to set cheese on top. I haven’t added the planko topping, but will try it next time. It sounds great! My family loves it and won’t eat the boxed kind anymore. Make sure you use large enough container to cook as it bubbles up high. It’s a medium, or 12 inch skillet. Enjoy it, Emily! Thanks! I just got done making this dish for my family. Took no time whatsoever, and turned out amazing. I followed the recipe to the T, except I substituted the hot sauce for liquid smoke to give it a smoked flavor. It was amazing. Thank you so much for the recipe! 5 stars!